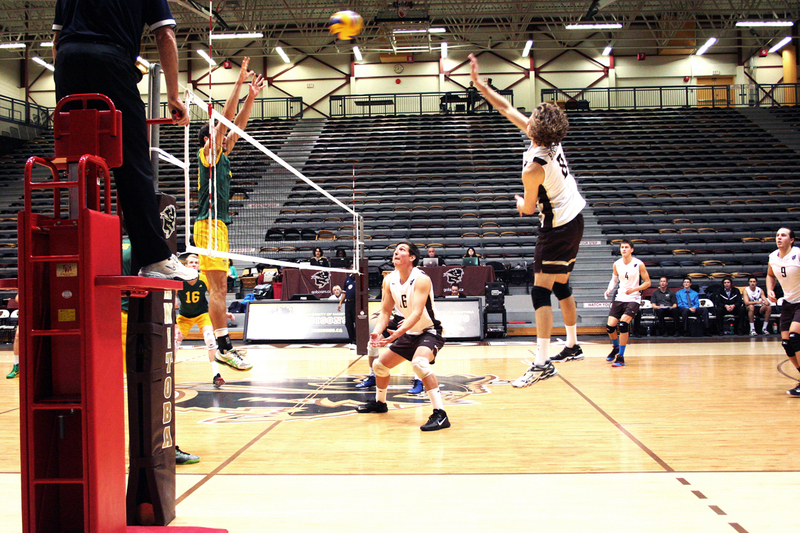 It was an exciting weekend for the Manitoba men’s and women’s volleyball team, as the Bisons hosted the Brandon Bobcats on Nov. 15 and 16. The Bison men swept the visitors, while the women split their two-game series. The men’s and women’s matches Friday night went the distance, with the Bisons winning both in the fifth set. In the women’s game, the Bisons came out strong in the first set, but dropped the second and third. Meaghan Robertson tried to serve out the match for the Bobcats with the Bisons sitting on set point, but the comeback came up four points short. Manitoba jumped out to a crucial early lead in the fifth set and never looked back, winning the match 3-2 (25-18, 18-25, 23-25, 25-21, 15-8). Rachel Cockrell led all players with 20 kills, while Taylor Pischke returned to the Bison lineup to contribute 14 kills and nine digs. The Bison men got their weekend started with a huge 3-2 (16-25, 25-21, 25-22, 14-25, 15-12) win over the nationally-ranked Brandon Bobcats. After Brandon took the first set handily, the Bisons bounced back in the second and third and ultimately clinched the match in the fifth. Devren Dear, who led all players with 23 kills, was a key contributor to the Bisons’ victory. In the women’s rematch on Saturday, Brandon reclaimed their second-place position in the Canada West standings by defeating Manitoba 3-1 (24-26, 26-24, 25-20, 25-21). After coming out and winning the first set, the Bisons had an opportunity to go up two sets to none. Unfortunately, 11 second-set attack errors kept Brandon in the game and allowed them to build momentum. Brandon swept the remaining sets for the match. Brandon’s Shanlee McLennan led all players with 18 kills. The Bison men ended the weekend with another thrilling five-set victory over the Bobcats, winning 3-2 (25-18, 25-20, 21-25, 19-25, 15-10). Dear was once again huge for Manitoba with 18 kills, while teammate Adam DeJonckheere led all players with 20 kills on the night. The women now sit tied for fourth in Canada West with a record of 5-3, while the men’s victories propelled them into a tie with three other teams—including Brandon—for sixth place in the competitive Canada West volleyball conference. 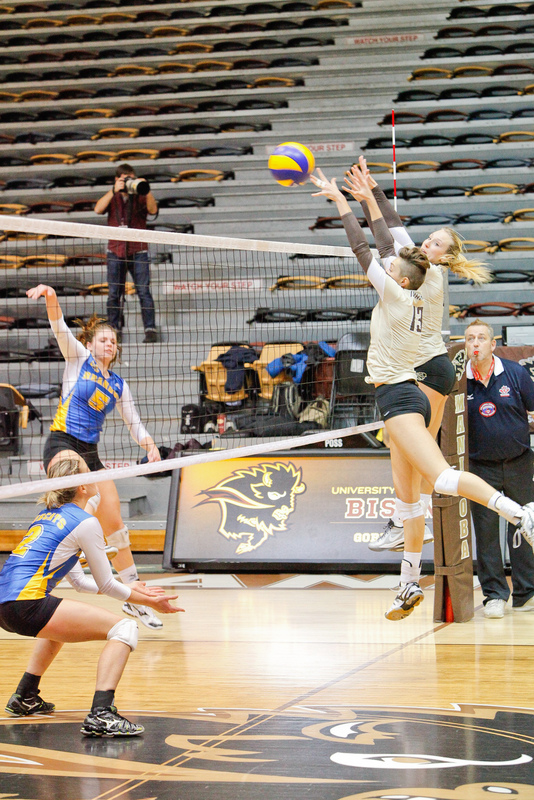 The Bisons will travel to Edmonton this weekend to take on the University of Alberta on Nov. 22 and 23.